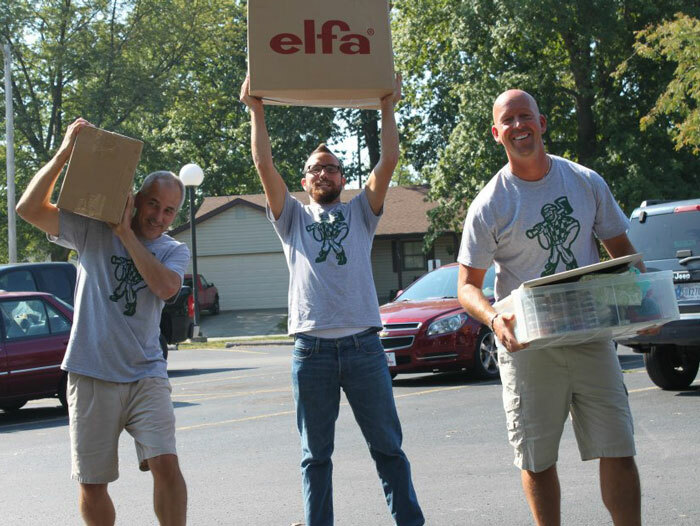 Each year at Huntington University, new students dedicate one afternoon of Orientation to volunteer service in the community. This year, that afternoon occurred on Saturday, August 25. The students went in teams to sites around the community including Forks of the Wabash, Boys and Girls Club, Salamonie Nature Center, and area churches. Below are a few photos from the day. The HU Facebook page contains many more photos from the 2012 HU Volunteer Plunge. A couple updates on Dan Paternoster, a member of the Executive Leadership struck by a car on Tuesday morning. Dan moved all of his limbs again today (Friday). The doctors loosened the collar brace around his neck and he moved his head from right to left and back to get as comfortable as possible. When the nurse was brushing his teeth he opened his eyes for a few minutes but was not focusing or following anything specific. Later he was chewing on the tubing in his mouth. His movement seems to increase when his pain medications are decreased or when they are wearing off. Dan is still on a ventilator but the chest tube that was suctioning extra liquids away from the chest and lung area was removed today. The pressure in the brain is still a serious concern. The cat scan did NOT show any large blood clots! Dan still has swelling in his brain that is dangerous but he will not be going to surgery at this time. People can sign up to receive email updates about Dan. Ben Gladhill (left) and Steve Smith. Lake View Church (Camden Mich.), hosted its annual VBS program July 15-19. Our theme this year was PRAISE, “where kids get down and lift God high.” The curriculum was produced by The Go Fish Guys, a Christian music group known for their acapella, and harmonies. Our program was set up like a concert venue complete with lighting and fog machines, and was high energy, exciting, and a ton of fun. 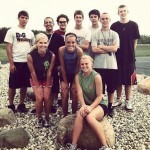 Throughout the week we set several goals for our teens. The first was an attendance goal of 80 kids. The reward: I would take a pie in the face. The last night we had a total of 83 children attend our VBS program, and I took a prune pie! Each night we also collected a missions offering. 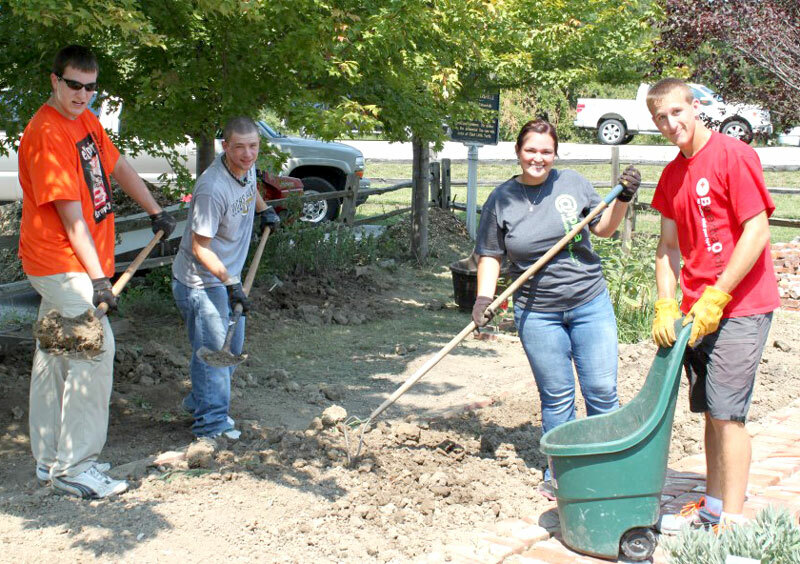 Our project was to raise $1000 to purchase an ice machine to take with us to Laurel Mission on our trip with our teens. By our third night we had raised over our $1000 and upped our goal to $1500 (the actual cost of the ice machine). By the final night we had raised $2000 from the contributions of our children and leaders! Senior pastor Steve Smith stepped up and took a second prune pie for the amazing offering! Finally and most importantly, we had 14 children accept Christ during VBS—14 more lives for the kingdom! Praise God! 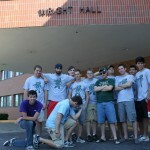 New students moved in to the residence halls at Huntington University on August 24. 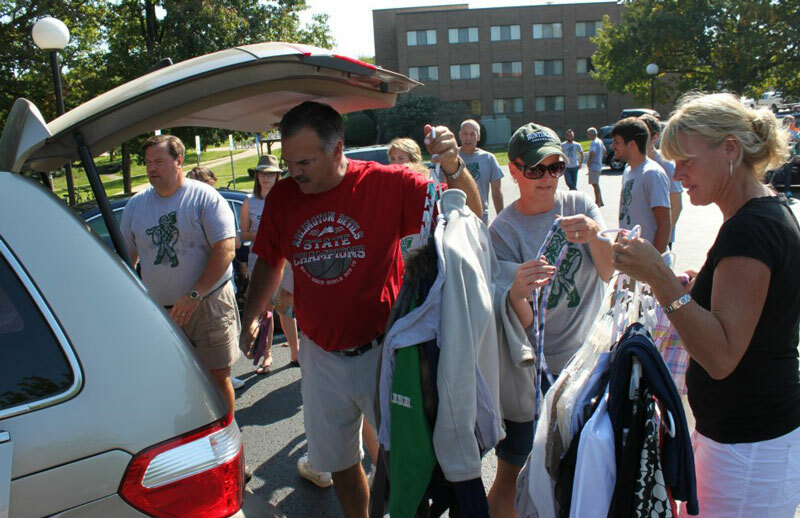 August 24, a Friday, was move-in day at Huntington University for new students. 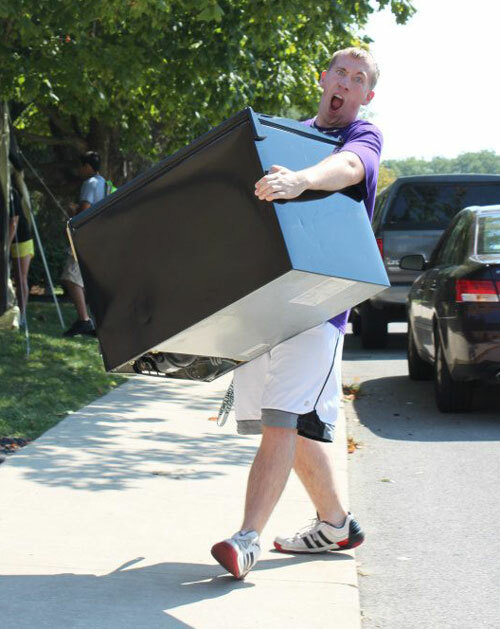 Students checked in at the Merillat Centre for the Arts, and then were directed to their dorms. 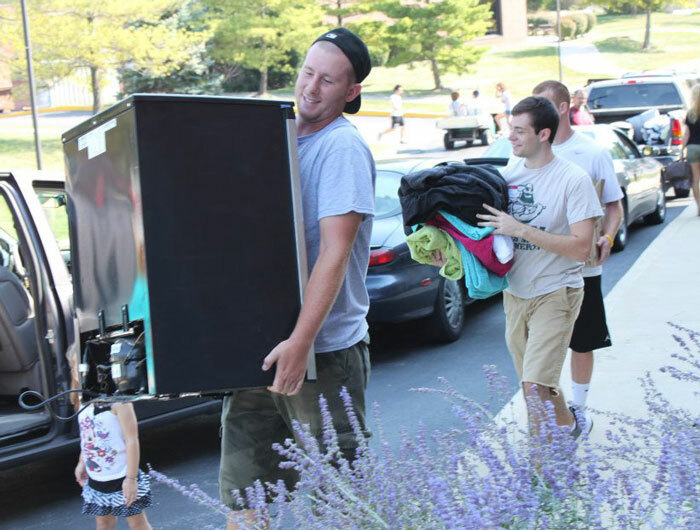 Dozens of HU volunteers helped students students and their parents unload and move in to the residence halls. 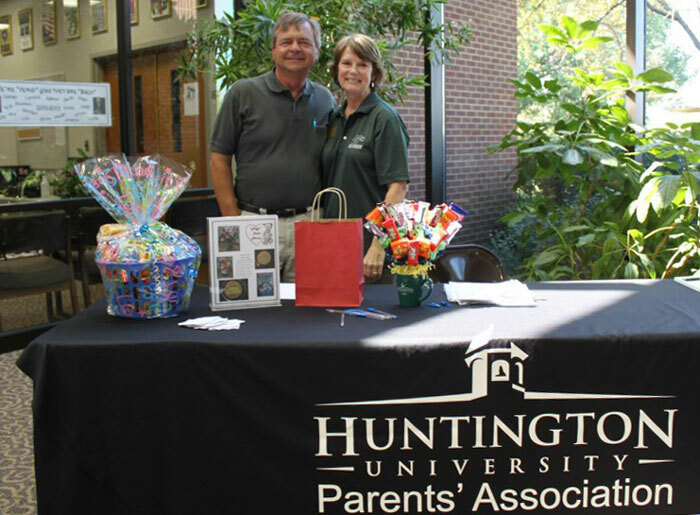 The afternoon featured sessions for parents. 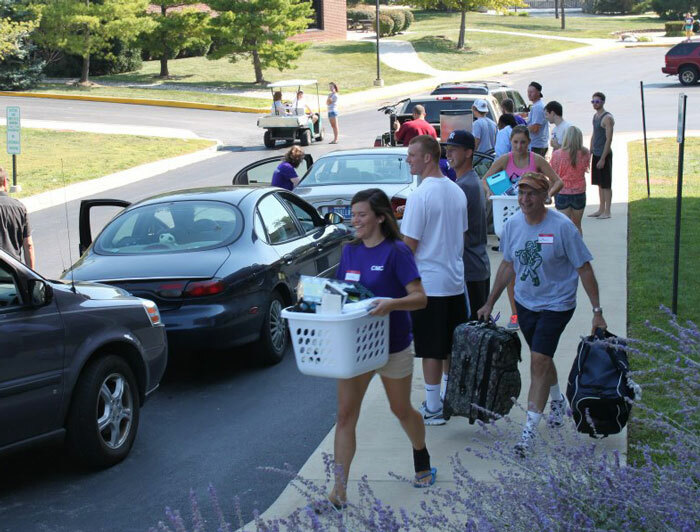 Orientation officially began with a “New Student Dedication Service” at 6pm in the Merillat Centre. The day concluded with the students’ first Alpha Group (orientation group) meeting and student meetings in the various residence halls. Below are a few photos from the day. 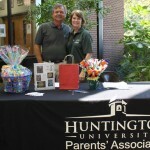 You can view many more photos on the Huntington University Facebook page. Mark Wilson, senior pastor of Fowlerville UB church, sent this update about Dan Paternoster, who was in a serious accident on the morning of August 28. Pastor Lester Smith gave a dramatic presentation of 1 Peter. 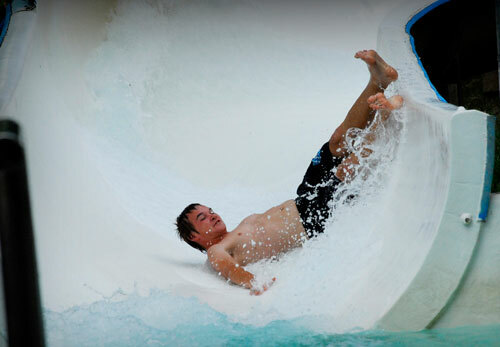 All afternoon, fun on the camp waterslide. 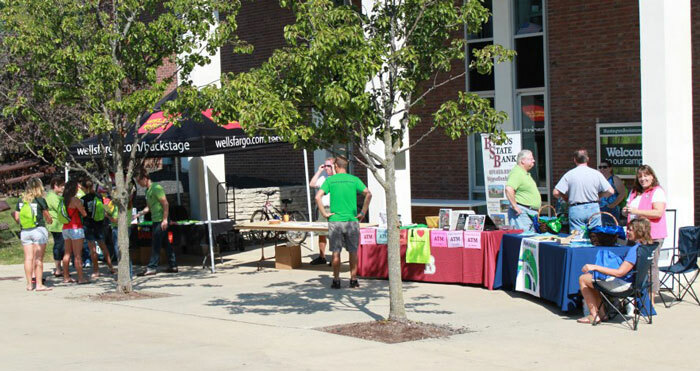 The Hillsdale UB Church in Hillsdale, Mich. (known locally as the “HUB”), held its 14th annual Friends and Family Day at Michindoh Conference Center on Sunday, August 26. With the exception of Easter, no other HUB worship service brings in more guests than the last Sunday of August. Music was provided by the Vanderveen Family. Gary Vanderveen is a United Brethren pastor in Florida. 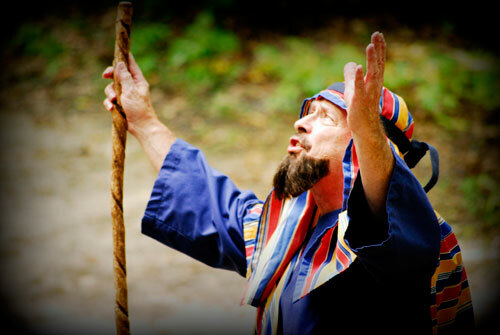 Les Smith, HUB senior pastor, appeared as “Peter” and dramatized I Peter. He had just finished a summer preaching series from the same book. 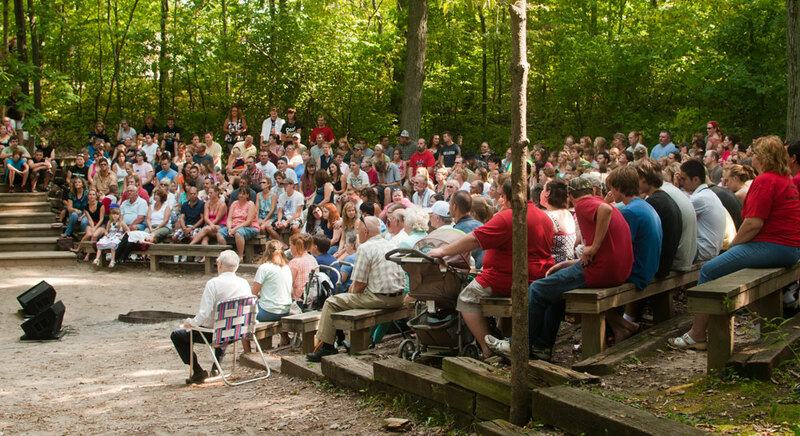 There was a combined attendance of 555 at the indoor (held earlier at the church) and outdoor (at Michindoh’s amphitheatre) services. Over 450 people were served at the free picnic. Afterwards, a long line formed at Michindoh’s waterslide all afternoon. A giant bubble around the children helped illustrate how God protected Daniel in the lions’ den. During the week of August 6 -10, International UB church (Allentown, Pa.) held its annual VBS, in partnership with St. John’s Evangelical Congregational Church here in Allentown. This year’s theme was Babylon Daniel’s Courage in Captivity. The kids enjoyed the acting, games, lessons, worship, and crafts. However, one game made a mark on them. They were covered with a giant bubble to show how God protected Daniel in the lion’s den. The hit song was “Amazing Grace, My Chains are Gone.” Many were very touched and teary during the singing. At the closing service, Pastor Neville Tomlinson gave a brief message on how the church must prevent re-education of our kids by secular society. Dan Paternoster (right), 55, a member of the denominational Executive Leadership Team since 2001, was riding his bike this morning (Tuesday, August 28) when he was hit by a car. 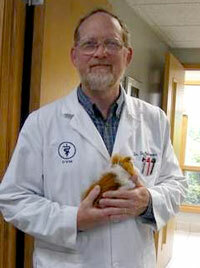 He is currently in the ICU at Sparrow Hospital in Lansing, Mich. 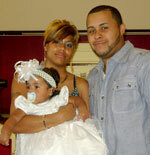 The family reports that he has injuries to the brain, and the prognosis is not good. Dan’s wife, Nancy, and his daughter are with him. Please pray for Dan and his family. The Paternosters are members of Fowlerville UB church in Fowlerville, Mich. Dan is a veterinarian, and an avid bicyclist. 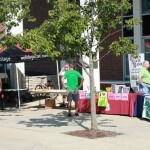 UPDATE 1:55 pm: According to LivingstonDaily.com, Dan was struck from behind by a 2008 Dodge Avenger sedan as he was riding his bike to work on the shoulder of Grand River Avenue. The woman driving the vehicle said “something got her attention” and she was looking to her left when she heard her vehicle strike something. She looked back, and the bicycle was going up in the air and the rider was striking her vehicle, said the sheriff. Speed and alcohol do not appear to be issues. Also, Dan was wearing a helmet. UPDATE 3:45: A call from Fowlerville church informed us that Dan’s vital signs are good, and he is no longer in a life-threatening condition. However, there has been significant brain damage. He also has many bone fractures and other injuries. You can pray now for bleeding in the brain to stop, and for the overall healing of his body. He did squeeze his wife’s hand when she insisted that he squeeze it, so that’s a good sign. The 8th Annual Tom Ponsot Memorial Golf Tournament will be held on September 15 at Donald Ross Golf Club in Fort Wayne, Ind. (7102 S. Calhoun St.). The late Tom Ponsot was a member of the Zanesville UB church (Zanesville, Ind.) and a member of the camp’s board of directors for many years. 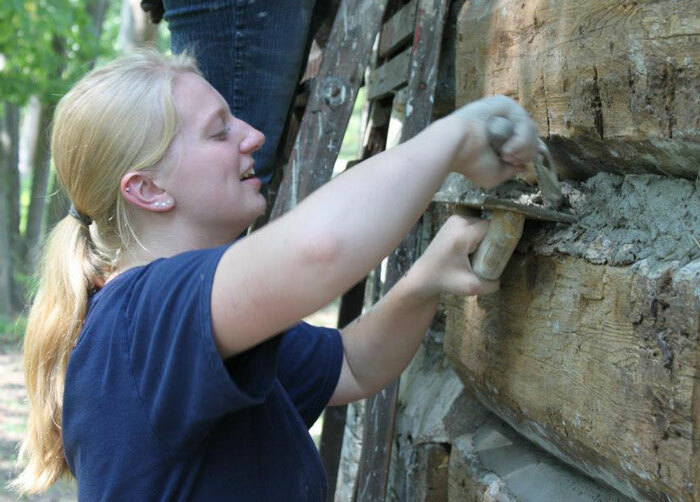 The proceeds will once again support the ministries of Camp Cotubic in Bellefontaine, Ohio. 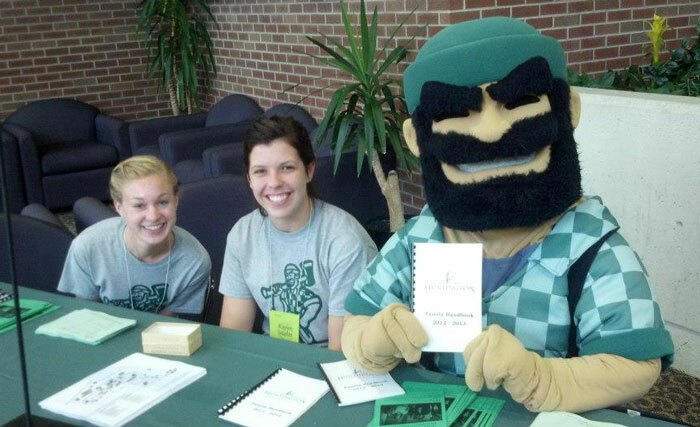 During the past 7 years, the Classic has raised over $26,000, and hosted over 500 golfers. We invite you to enter a team in this year’s tournament. The cost is $50/person. That includes green fees, cart, snacks, and lunch. 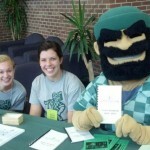 There will also be plenty of door prizes and prizes for the winners and various other accomplishments. Registration begins at 7:30 am with the tournament start time at 8 am. Bishop Phil Whipple (left) with Calvin and Amy Hodgson. 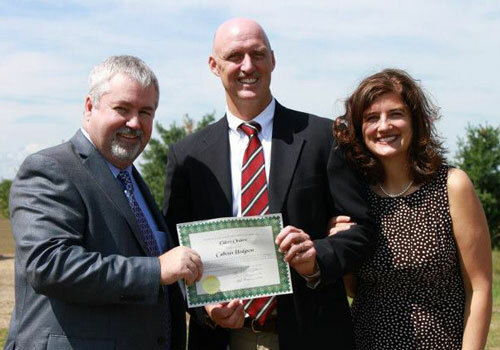 Cal Hodgson, senior pastor of Heritage UB church (Dansville, Mich.), was ordained on Sunday, August 12, at Heritage. Bishop Phil Whipple conducted the ordination, assisted by Michigan pastors Tim Flickinger and Jeff Reser.